The phone looks good, the performance is average but promising for its price thanks to the new HiSilicon Kirin 710 CPU. You can surely go for this phone until and unless you don’t want to compromise on the camera and fast charging option. Honor is a sister concern of Huawei’s works as smartphone sub-brand, continuing their verge in India with an aggressive strategy in the past year. They are releasing multiple models to target all kind of consumers in India, priced between Rs. 10,000-35,000. The new Honor 8X going under the price segment of Rs.15,000 which is often said to be the most competitive segment as most of the smartphone users tend to buy phones from this segment. 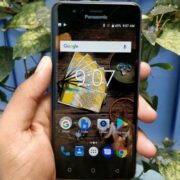 The Xiaomi Redmi Note 5 Pro, Asus ZenFone Max Pro M1 (Review), Nokia 6.1 Plus, Motorola One Power and the Realme 2 Pro are the main competitor at this segment. 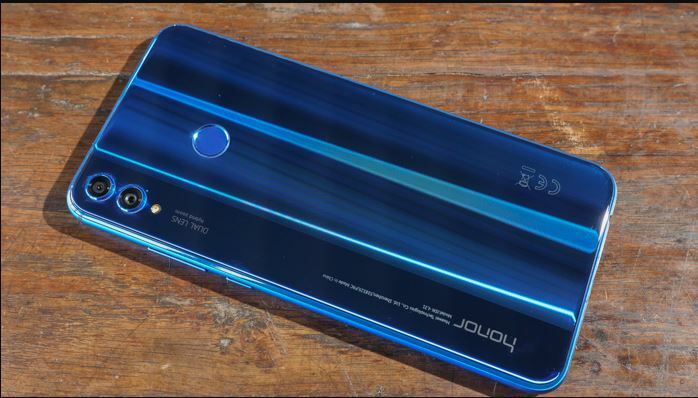 So, can Honor’s latest launch would be enough in terms of performance and features to put on a mark in the market? To know that we have put the Honor 8X to the test. So let’s see the Honor 8X Review. 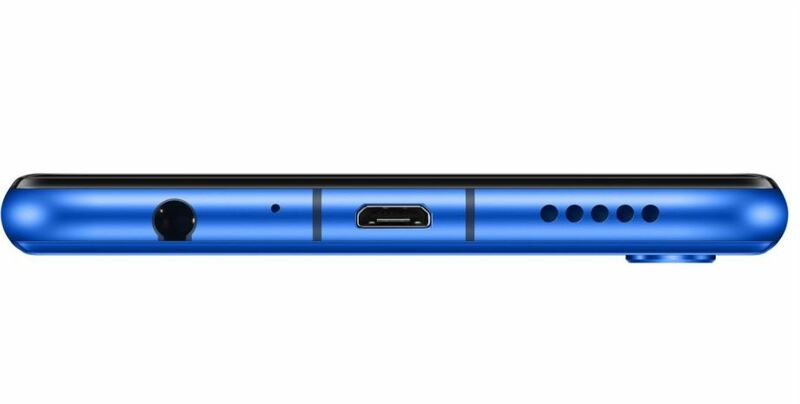 One of the coolest things about the Honor 8X is its design, the design factor differentiates it from the others competitors. It comes with a glossy dual-tone design which makes the back panel look classy and glossy and also feels premium, especially for a phone at this price range. Honor is using a “visual grating effect” and which is achieved by using multiple layers of glass. 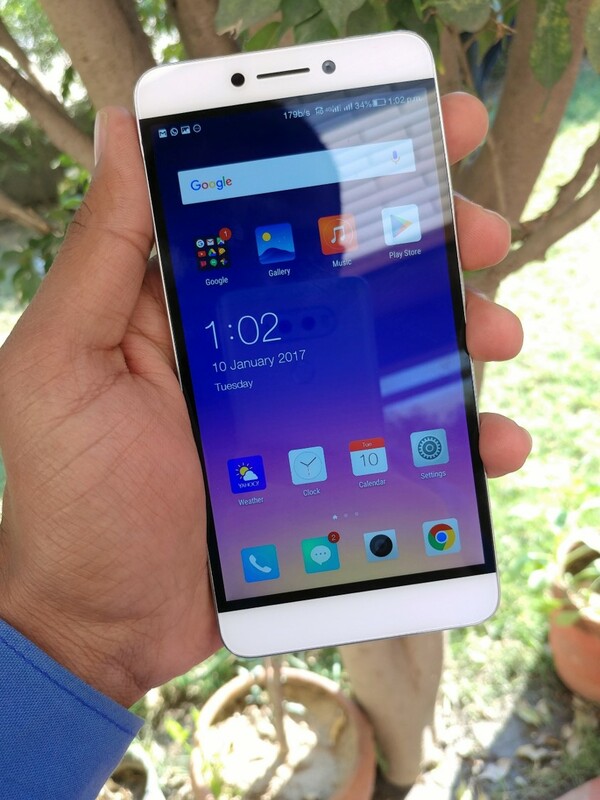 This type of looks in back panel is observed in the premium level phones only which are tend to be priced above Rs. 25000 or more. But there is a negative impact which is, Honor 8X is extremely prone to smudges and even scratches especially in the backside. And if you think to put some phone case over it then it will hamper the good looks of course, though a soft transparent back-cover is bundled in the box, which is the only way to safeguard the beautiful design along with flauntless. However, same type of back covers available in the market made by other manufacturers shortly. Honor 8x has impressive 91 percent screen-to-body ratio with a very small bottom chin compared to previously launched Honor models like Honor Play, Honor 9N etc. There is a 19.5:9 front-screen, with a small notch on top, and there are very minimal borders all around. At the end all these give the phone a very premium look. There is another big change in looks, which is there will be no Honor logo at the front. The ditching of front logo would be appreciated by most of the users. The phone has a 6.5-inch display, which is almost same dimensions as an iPhone 8 Plus. One negative factor is, that this phone is not good for one handed use, for most of the function the user has to use both the hands. Though the phone is very slim (about 7.8mm). The product will be available in three colors only in India, Classic Black, Trademark Blue, Bold Red. Our expert had his hands on the Blue version. Which reflects the light when it is turned on the hand. The black option is for the sober and simple people, the red finish would be would be good for a stand out look. It has a vertically stacked pair of rear cameras with individual bumps. There is also a rear-mounted fingerprint sensor which works really fast. The Honor Logo and “AI Camera” logos are aligned in landscape mode under the cameras. The power and volume buttons are located on the right side of the device and are quite large in size. The SIM tray is on the left side. This tray can take two Nano SIM cards as well as a microSD card at the same time, so you can use duel SIM standby mode on this phone. The Micro-USB port, 3.5mm audio jack, the loudspeaker point, and the built-in microphone point at the bottom. This phone does not feature a USB type-C port to make the device cheaper, though having a USB type-C port would have been more preferable. There is a secondary microphone on the top that helps in cancelling out the external noises during calls, which is a premium facility. The build quality is decent; however, we noticed a couple of scratches on the glass back panel within a few hours of regular usage. Considering there is no reinforced glass for protection at the back, a case is definitely recommended. 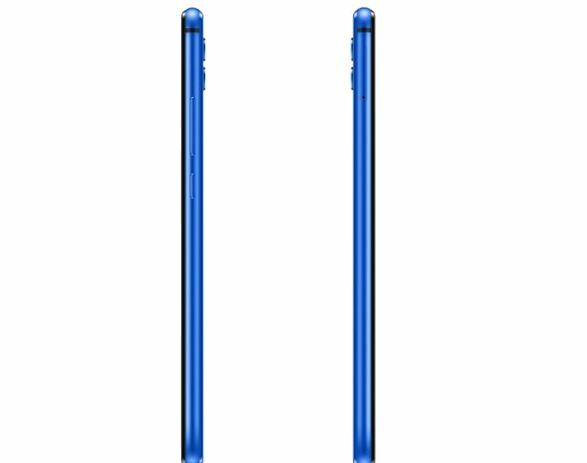 There is one more very negative aspect of the Honor 8X, that is the tiny sized earpiece. 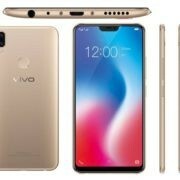 In the attempt to make the notch smaller than usual, manufacturer has compromised with a tiny earpiece that makes listening to calls very frustrating. Even a slight shift of the phone against ear can completely block sound output during calls. The Honor 8X is the first phone in India from the manufacturer (Honor) with a HiSilicon Kirin 710 SoC, though it was used in Huawei Nova 3i. It is fascinating to see a mid-range Honor phone is powered by something other than the very commonly Kirin 659. This 12nm CPU has four Cortex-A73 cores clocked at 2.2GHz and four Cortex-A53 cores clocked at 1.7GHz, in terms of CPU architecture those stats are awesome. It takes on the competition over the Qualcomm’s Snapdragon 636 and Snapdragon 660 both, which are currently most popular in the same price segment. The unit our expert got his hands on was the base variant with 4GB RAM and 64GB of in-built memory, priced at Rs. 15000/-. There are two more variants available for the product which has 6GB RAM and 64GB storage space for Rs. 17000/-, and 6GB RAM along with 128GB storage space for Rs. 19000/-. No problems in handling moderate level multitasking was detected even without clearing the memory, and the in-built storage was enough for a hundred of apps and lots of photos and other media files. Though for the need of extra storage space the Honor 8X supports additional storage of up to 400GB using a microSD card. With the OTG an USB stick also can be connected and used as a third-party storage device. The huge 6.5-inch screen has a resolution of 1080×2340 pixels, which is crisp and clear enough for most of the users. The product contains blue light filter tech in the display, which is called Eye Comfort Mode. In would be enhancing the user experience for sure. It has a 3,750mAh battery, which uses 5V/2A (10W) charging. The dual camera setup at the back got one 20-megapixel camera with primary sensor and another 2-megapixel camera with depth sensor. For great quality selfies, a 16-megapixel fixed-focus camera is placed in the notch of the phone. One of the finest features is that Honor 8X supports 4G VoLTE on both SIMs. Ambient light sensor, electronic compass, gravity sensor, gyroscope, proximity sensor, fingerprint sensor, all are in-built in the phone. Dual-band Wi-Fi 802.11ac, Bluetooth 4.2 LE, FM radio, GPS/A-GPS, GLONASS, and BeiDou all are in there. The default unit would be running EMUI 8.2.0 on top of Android 8.1 Oreo OS. An update for Android Pie is coming for the Honor 8X shortly. There are quite a few more customizations available with EMUI, and the amount of bloatware has reduced drastically. The phone will come up with preloaded apps such as Facebook Messenger, Netflix, Camera360 etc. Some users may find the icons too large in looks, and seriously a more minimal approach would have been better. There would an in-built phone manager app which will help you to free RAM, block certain apps, track mobile data usage, check for viruses, and keep a check on battery drain. For the habituate users, this app may prove to be very handy keep track of the phone’s vitals. Honor’s EMUI has its own dialer, calendar, gallery, music, video, and email apps. You can use those apps or can use other apps according to your choice. The notches can be masked from within the Settings app. The product comes up with a pre-installed software-based face recognition system. Though it isn’t very secure compared to the 3D sensors that some of the high-end smartphones have. But, at the time of testing he Honor 8X was mostly accurate in recognizing most of our registered faces even with little postures, and was quick enough to unlock the phone. It is very fascinating that, it offers very good results in low light and at the night. The screen brightness automatically increases and decreases to help recognize the faces. 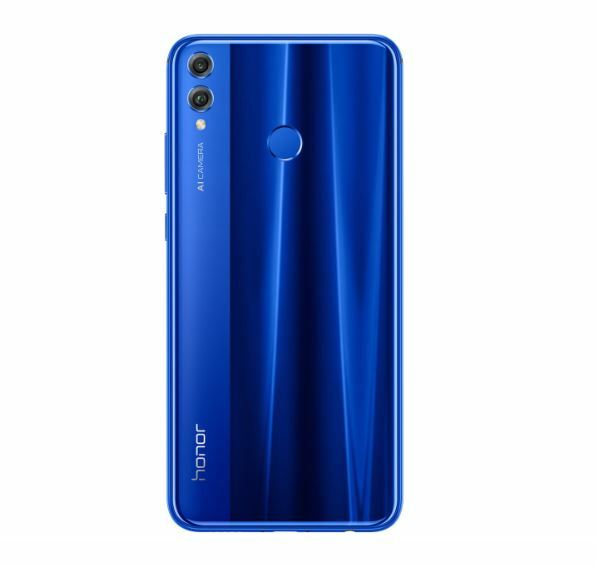 To strengthen the security of the device and to compliment the face recognition, the Honor 8X also has a fine quality rear-mounted fingerprint sensor. The Honor 8X is a great example that the responsiveness and fluidity of Honor’s EMUI has improved a lot over the past couple of years; it offers a completely lag-free experience and had no issues while multitasking with several apps at a single time, even if downloading or any other running app is working in background. Switching between apps was smooth (at least at the time of testing). However, we did find some shattering while playing PUBG. Call quality was very good with the Honor 8X, the reception quality is decent enough, worked well even in areas with low cellular signals. Voice quality in call was pretty good. In the terms of gaming, this is among the other recent Honor smartphones to feature the GPU Turbo technology in-built. GPU Turbo is a software-based gaming-focused optimization that claims to offer a 60 percent improvement in frame-rate and performance and even offers 30 percent better battery saving while playing games. We put the device under test with heavy games such as Asphalt 9, PUBG etc. Worked pretty well in high graphics settings, but the device tends to become hotter in that (especially in case of PUBG, after playing for an hour), while in medium graphics settings PUBG very well, lag free and with smooth 45 FPS. Other light weight games such as Subway Surfers, Temple run, Clash of Clans, Candy Crush were ultra-smooth to play. Overall the heating was present but very minimally, and battery drain was reasonable and also dependent on the graphics settings of the games and optimized usage of the device. 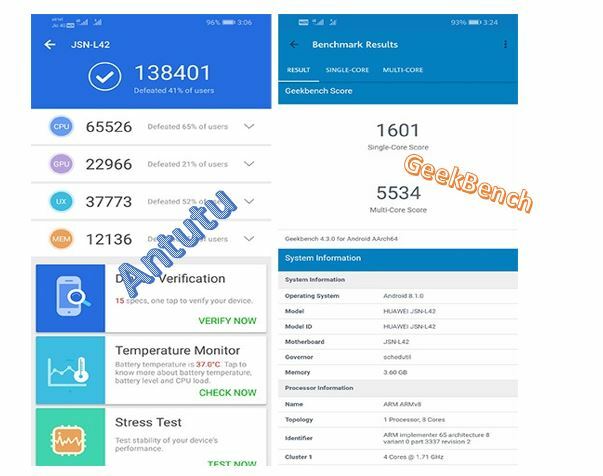 The Honor 8X scored an impressive very well in AnTuTu; and great in both Geekbench’s single- and multi-core tests; the result was good enough in PCMark’s also. The obtained scores for Honor 8X are better scores than what we encountered for Xiaomi Redmi Note 5 Pro, Asus ZenFone Max Pro M1, and even the Snapdragon 660-powered Xiaomi Mi A2 and also Realme 2 Pro. All the above benchmarking is done for CPU only. As for the GPU benchmarks, the Honor 8X’s GPU managed to obtain 35fps in GFXBench’s T-Rex test and 13fps+ in the Manhattan 3.1 test. These scores are mostly better than any other close competitor in this price segment. The CPU HiSilicon Kirin 710 is also complementing the power of the GPU, which in turn gives very good quality service. The in-built camera app has a simple but straight-forward interface. It supports five major modes, i.e. Aperture, Night mode, Portrait mode, Photo mode, and Video mode. There are also other functions like Pro, Slow-mo, Panorama, AR Lens, HDR, Time-lapse are available in the app. The app also contains an AI Photography option, and just like other Honor phones the system is flexible enough and can be turned off and on. A plus point is the function of toggling AI mode even after a shot has been captured. This feature is very helpful considering the scenario where some of the shots we took using AI mode came out extreme contrast or light. The rear camera setup consists of a 20-megapixel primary sensor and a 2-megapixel depth sensor, both are having with f/1.8 apertures. It supports slow-motion video recording (480 fps) as well as depth in field photography. While considering the price segment, the Honor 8X’s photo quality is nothing to boast about. Autofocus with the rear camera is quick enough and mostly accurate if the lighting is good, but the resulting photos lack clarity, especially if there is lack in the lighting. Night shots look just decent on the phone screen itself, but a lack of clarity as well as detail while viewing on full size screen. The given AI camera mode is as good as unusable in low light as it only ends up making shots look oversaturated by blowing out bright colors, just like if a noob is clicking the shots. The 16-megapixel selfie camera is much better in terms of sharpness in picture quality, even if you are trying the images in a full-sized screen. It also delivers good image definition in well-lit areas. Though Night shots are below average in quality on the front camera too, and the screen flash also does very little to help. Honor 8X supports up to 1080p video recording at 60fps, though 720p is the standard set as the default. The lack of any form of stabilization turn out to be the reason of heavy shaky videos at the end. Beautification function works for both cameras but the output appears to be extremely artificial. The Honor 8X has 3750 mAh battery on that it lasted about 14 hours and 30 minutes in our HD video loop testing. It can charge up from 0% to 100% in slightly more than 3 hours with its 10W charger which comes in the package which another downside of the phone. Though we were very keen to see how the battery life keep up with the expectancy of ours in the test, as the phone has a large 6.5inch screen. However, the after-test results were impressive, and the phone lasted for a whole day on a single full charge on an average usage. Our test usages included browsing social media apps and checking emails all the day, as well as streaming a couple videos on YouTube and a 30 mins gaming session with PUBG, using both 4G and Wi-Fi networks, simultaneously. Honor is making a very good attempt to penetrate the Indian market with a stylish and relatively affordable phones as well as phablet that offers good value for money. It is also trying to penetrate all the levels all type of mobile users in the market. The phone looks good, the performance is average but promising for its price thanks to the new HiSilicon Kirin 710 CPU. Other things like the Vibrant Display, and fast responding biometric security features etc. Things those you need to be compromised on Honor 8X: Camera results are below average according to us, the UI could have looked a little sharper, and faster charging option would have been very useful.